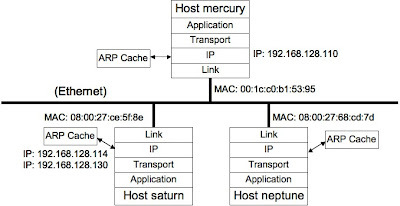 It seems to me you would want to use a proper virtual address sharing mechanism, such as CARP in FreeBSD, that will ensure exactly one server will respond to the IP at a time. @Vivek, I didn't mention CARP but I have seen this used and it generally seems good. The basic point is you need *some* kind of cluster manager to manage VIPs. Our own Tungsten product has a fairly sophisticated scheme for VIP management. I have also used Heartbeat, which is quite similar. Heartbeat is integrated into PaceMaker, which is mentioned in the article. The VRRP part of keepalived is also a common way to handle VIPs on Linux. @Ronald and others! Thanks, glad you liked the article. I hope to dig into cluster manager behavior more fully in a future article. This is where a true hardware based vip like the one found in Alteon load balancers would help (just an example, I have no stake in Alteon :) ). 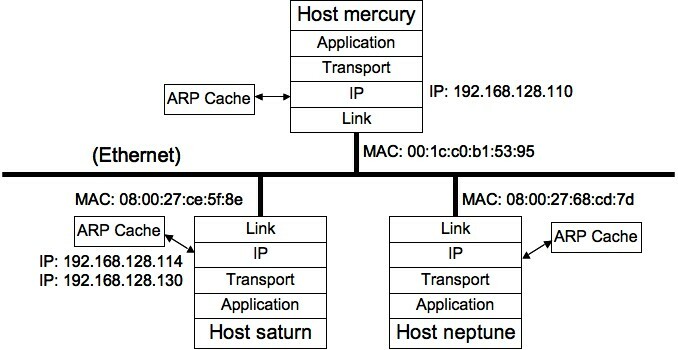 The mac address of the VIP doesn't change, no need for ARP monkeying, drawback is that all communication goes through the load balancer that can become a bottleneck in extreme cases. I wonder if something like that is doable using the linux iptables stack. @Giorgio. You can go still further and not to use VIPs at all. We have done a lot of work with intelligent SQL proxies. In additional to avoiding ARP weirdness they allow you to do cool things like seamless switch (e.g., flipping a master/slave pair) and load-balancing reads safely onto replicas. I hope to post more extensively in the near future but in the meantime you can look at Tungsten Connector documentation for a sense of the approach (http://www.continuent.com/images/stories/pdfs/tungsten-connector-guide.pdf). Excellent writeup, Robert. Much appreciated! You covered a lot of the nasty gotchas that I blissfully glossed over in my MySQL HA talk :) Added to the MySQL Librarian! Thanks for the article. I was looking for this kind of article to undestand VIP as we are going to use VIP for our PostgreSQL database failover. Great post. Thank you very much good sir.